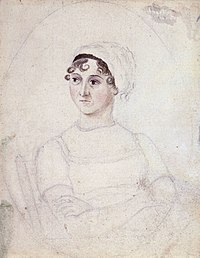 Pride and Prejudice is a novel of manners by Jane Austen. It was first published 1813. The story follows Elizabeth Bennet as she deals with issues of manners, upbringing, morality, education, and marriage in early 19th-century England. The story was adapted to a movie in the 1940s starring Greer Garson and Laurence Olivier. It has been adapted to television serials. This page was last edited on 29 April 2014, at 18:53.